Bournemouth Borough Council: In 2014 changes were made to town planning legislation to allow certain changes of use for a temporary period of up to two years without requiring full planning permission. 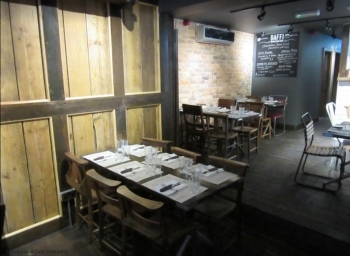 Baffi took advantage of this proposal and were nearing the end of their two year period when Pure Town Planning were instructed to secure permanent A3 restaurant use of the premises. Whilst we could have applied for a change of use under a standard full planning application, we advised that a prior approval for the permanent change of use from a shop (Use Class A1) to form a restaurant (Use Class A3) was a more efficient (a response has to be made by the Council within 56 days) and cost effective route to achieve the same outcome. (g) the siting, design or external appearance of facilities. The Bournemouth Borough Council planning officer assessed the proposal on all of the above criteria and deemed that the proposed change of use was acceptable in all respects. The Council agreed with our view that because there are other vacant properties within close proximity and the hours of use would encourage daytime footfall to the centre, the continued use of this unit as a restaurant would not have a harmful impact on the overall vitality or viability of the shopping area. 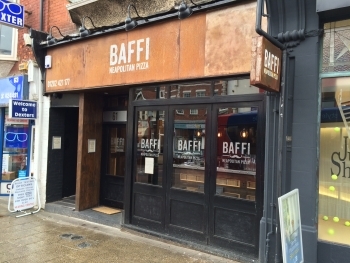 If you are ever in the Southbourne area around lunch/dinner time then we recommend you pop along to ‘Baffi’ for a wood-fired Neapolitan pizza. Their pizzas are made from slow rising dough and are cooked in a wood fired oven by their artisan pizzaioli from Naples and they are delicious! If you are looking to change the use of an existing commercial premises to accommodate your business, then contact us for a FREE, confidential appraisal to find out how we can achieve the best consent for you too.